We’re taking a short break this week. I’ve been working on a few projects and so I’ve rented a cabin to stow away and write! I’ll also be working on some fresh content for next week’s blog. We are finally taking the plunge and committing to a weekly SEALFIT TV segment on our You Tube Channel. The segments will air every Monday, and we will send you weekly links. Please click here to watch a video, in which I highlight the details of what we have in store! – Warrior Yoga sequences with pictures. 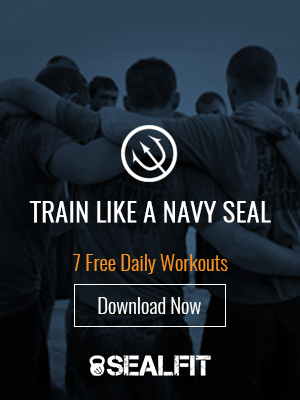 – Pictorial and extensive instructions to assist you in your SEALFIT training experience. – Hero WODs and Many SEALFIT and Crossfit Benchmark WODs. – PT Record pages to help you track your progress included. – Warrior Yoga, Nutrition and Diet planning guidelines.